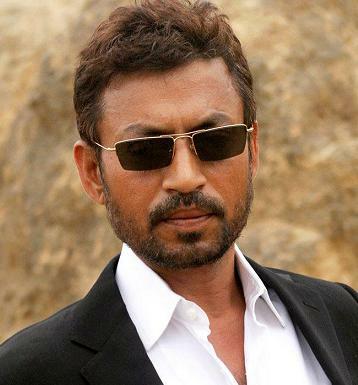 * Irrfan Khan was born on 7th Jan 1967 Jaipur, India. * His father was running a tyre business in Tonk district. * His mother, Begum is from Hakim family. * After his MA degree he studied at National School of Drama, New Delhi in 1984. * Irrfan married National School of Drama graduate Sutapa Sikdar on 23rd Feb 1995, the couple gave birth to Babil & Aryan. * After completion of his training at National School of Drama he moved to Mumbai and started to work for several TV serials like Chanakya, Sara Jahan Hamara, Bharat Ek Khoj etc. * Irrfan made his Bollywood debut with Salaam Bombay in 1988 in a small role. * During Irrfan’s decades long career he worked for numerous successfull films like The Warrior in 2001 directed by Asif Kapadia, Life in a… Metro in 2007 alongside Dharmendra, Shilpa Shetty, Nafisa Ali and Kay Kay Menon, The Namesake in 2007 opposite Tabu and Kal Penn, Hollywood film The Darjeeling Limited in 2007 alongside Adrien Brody and Owen Wilson, Slumdog Millionaire in 2008 alongside Anil Kapoor, Dev Patel, Madhur Mittal and Freida Pinto, Acid Factory in 2009 with Fardeen Khan, Dino Morea and Manoj Bajpai, New York in 2009 opposite John Abraham, Katrina Kaif and Neil Mukesh, Paan Singh Tomar in 2010 alongside Vipin Sharma and Mahi Gill, The Amazing Spider-Man in 2012 alongside Andrew Garfield, Rhys Ifans and Emma Stone, Life of Pi in 2012 opposite Suraj Sharma and Tabu.